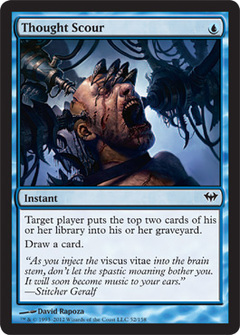 Curse of Bloodletting ($0.68) Price History from major stores - Dark Ascension - MTGPrice.com Values for Ebay, Amazon and hobby stores! Card Text: Enchant player If a source would deal damage to enchanted player, it deals double that damage to that player instead. 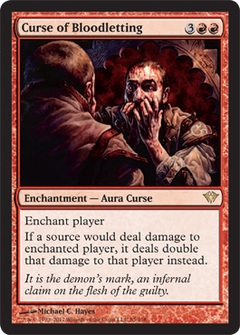 Flavor Text: It is the demon's mark, an infernal claim on the flesh of the guilty.